So, you want to learn more about inventory management. Maybe you’re a retailer who wants to have a better handle on your stock. Or perhaps you’re thinking of getting into retail and want to learn how to find, track, and manage your merchandise. Think of this post as your go-to page for all things stock control. You’ll find tons of info and tips for inventory management, as well as easy access to articles, ebooks, videos, and other relevant resources. Just be warned, though: there’s a TON of information in this piece. We highly recommend bookmarking this page for future reference. With that said, go ahead and dive in or feel free to jump to a section using the menu below. Inventory management pertains to the things you do track and manage your retail products. Also known as stock control, it encompasses the tasks you carry out to keep your inventory in check. Activities like ordering products, storing your merchandise, counting items, and forecasting demand are all components of inventory management. Because the retail landscape is super competitive. With today’s shoppers having tons of choices when it comes to what to buy and which retailers to support, having the right products at the right time is critical. To accomplish this, you need to be great at sourcing, managing, marketing, and selling your inventory. On top of that you, need to forecast demand so you can make the right stock decisions going forward. So, how do you do all that? Let’s explore…. Managing products successfully starts with having the right merchandise. That’s why it’s vital that you work with the best makers and suppliers. In this section, we’ll tackle the steps and tools to help you do just that. 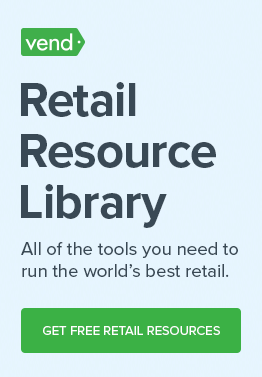 This section is for retailers who already know what they’re selling. If you’re at the beginning stages of your retail journey and don’t have a clear idea of what to sell yet, read Vend’s guide to starting a retail business from scratch. Before going “out there” to find products and suppliers, you must first look internally, and tune into your customers, staff, and business data. Taking this step will help you figure out the best products to stock up on. Business data – Let’s start with sales and product reports. Always keep an eye on what’s selling. Get a solid handle on what products are moving and use that info when you’re looking for new items to carry in your store. Listen to your customers – It also helps to get sales and product insights straight from your customers. The next time you’re chatting up a shopper on the sales floor or checkout counter, pay close attention to what they’re saying about your products and store. Their feedback and comments are like golden nuggets that you can use when you’re making product sourcing decisions. Talk to your staff – Finally, have a conversation with your employees. People in sales, marketing, and customer service can provide you with valuable info as well. If you’ve already taken the steps above, then you should have a pretty clear notion of what type of products to stock up on. The next step is to find vendors who can supply what you need. Go online – The beauty of living in this century is you can find (almost) anything online. There are plenty of retail vendor directories you look into when researching suppliers. There are big and general supplier sites such as Alibaba or ThomasNet, but there are also online sources that are a bit more industry-specific. For example, there’s Central Closeout for beauty and cosmetics retailers, while there’s FashionGo for apparel. Attend trade shows – Online directories are convenient, but sometimes, there’s nothing like heading to an actual trade show to see suppliers in the flesh. In-person events let you meet vendors face-to-face as well as touch and feel their samples. Check out trade publications and organizations – Trade publications and groups often have supplier directories that list vendor names, contact details, and descriptions. If you’re looking for additional suppliers who can freshen up your inventory, consider picking up a trade magazine or look up your industry’s top trade orgs. There are trade magazines for just about any topic, so if you’re not subscribed to any publications yet, you may want to check out TradePub.com to see if you can get your hands on relevant publications. You can’t manage your inventory efficiently if you don’t have the proper devices, platforms, and systems (and no, pen and paper doesn’t count). Product catalog – Your product catalog is your master list of items. It should contain the product name, SKU, description, key attributes, and the number of units in stock, among other things. If you’re running multiple stores, opt for a centralized product catalog that syncs your inventory data across all your locations. Variant capabilities – Product variants are essential if you sell merchandise that comes in various sizes or colors. Great inventory systems allow you to quickly create multiple product sizes, colors or any variations you need and edit them all in one view. Composites – Composites, on the other hand, are bundles of individual products. If you sell gift baskets or sets of multiple products, get yourself an inventory system that supports composites. Reporting – Reporting and analytics are critical to stock control. You need a good handle on inventory performance to order the right products, determine pricing and promotions, and forecast demand. Stock ordering – It’s best to have a system that streamlines stock ordering. 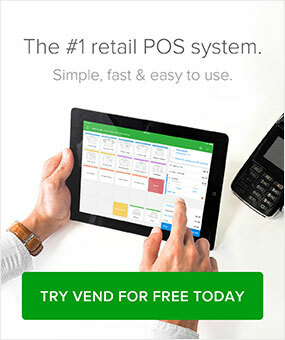 Vend, for example, lets you create stock orders quickly with CSV uploads or by scanning product barcodes. 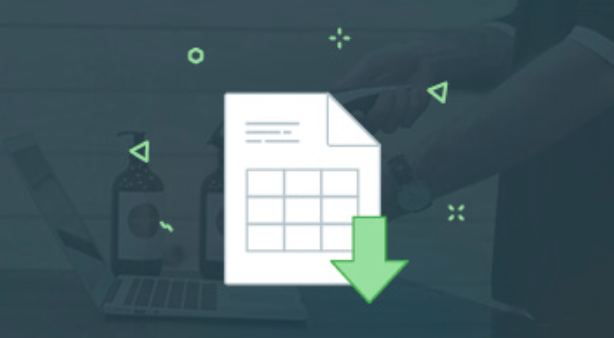 Email orders directly to your suppliers through Vend, then easily receive, modify, and bulk print labels when orders arrive. Stock counts – Regularly counting your products helps immensely with inventory accuracy. So, get yourself a system that has inventory counting features so you can conduct partial and full counts with ease. Looking for an inventory management system that can do all of the above? Vend’s powerful stock control capabilities can help keep your inventory in check. Take a tour of our inventory software to see how. As we mentioned in our post on inventory management techniques, there are various stock control methods out there, and some approaches may be better for you than others. The key is to study these techniques and then determine which ones would make sense for your store. First-in, first-out (FIFO) – The FIFO stock control method is when a retailer fulfills an order with the item that has been sitting on the shelf the longest. Basically, the products that were acquired first will also be the first products you sell. This method is commonly implemented in food retail as many of these merchants sell perishable goods. Last in, last out (LIFO) – LIFO is the complete opposite. It’s when you sell your most recently acquired products first. It entails that the most recent pricing is used to determine the value of the stock that has been sold. Just In Time (JIT) – With JIT, retailers receive goods as the need arises. So, rather than ordering in bulk, you’ll work with your manufacturers and agree to acquire products or supplies on an “as needed” basis. JIT helps keep inventory lean and eliminates waste, but it does require a bit of work especially when you’re dealing with your suppliers. JIT entails dealing closely with them and sharing information with vendors so they can make small and frequent deliveries. A is the total customer demand over the course of the year, Cp is your ordering cost, and Ch is the carrying cost. Open-to-buy (OTB) inventory planning – OTB inventory planning, also known as merchandise management, helps you understand how much stock you can purchase without major risk. OTB accounts for inventory planning considerations such as sales and promotions, normal customer demand, and current and planned stock levels. Safety stock level – According to Matt Warren, Founder & CEO, Veeqo, safety stock level “is effectively the backup stock needed to meet unexpected occurrences and sudden changes in demand. …then subtract the average daily sales volume for the same period. Reorder point – Warren also suggests calculating your reorder points. In essence, an item’s reorder point needs to be as soon as its safety stock levels are hit. But the lead time between ordering and receiving the order needs to be taken into account as well. To maintain inventory accuracy, you need to ensure that the inventory numbers you have in your system match up with the physical stock you have in your store or warehouse. That’s where physical inventory counts come in. Step 1: Schedule and prep – Decide on a date to count your products, then mark your calendar. Be sure to notify your staff to get them on board. If you’re closing your store temporarily, don’t forget to notify your customers. Step 2: Physically count your products – Count the items and record the number of units you have for each SKU. Step 3: Check and recheck – Compare the numbers with what you have in your system. Identify and take note of any discrepancies. Step 4: Address any discrepancies – If some numbers don’t match up, do your best to get to the bottom of it. This requires going through sales paperwork to see whether certain sales have been overlooked. Often, when a simple math error doesn’t explain an inventory discrepancy, a missing sales receipt can. If there is no missing sales receipt, then you are left with theft or supplier fraud. Step 5: Update your records – Regardless of the motive for inventory loss, you need to reconcile your inventory records to match the actual number of items you have in your inventory. Doing this requires creating a stock reconciliation statement that overrides your previous figures and represents your current stock accurately. If you’re not keen on closing your store or staying after hours to count your entire catalog, then consider cycle counting instead. Cycle counting is the process of partially counting merchandise on a continuous basis. This method entails counting just certain portions of inventory on a daily or weekly basis so you won’t have to do a full inventory count anymore. What’s the best way to cycle count? Inventory expert Jordan Lewis recommends factoring in things like sell-through and size when determining what merchandise to count and how often to do it. “My advice is to focus on the items that you sell more of or that are smaller or easier to misplace. For low volume items, you could afford to count them less frequently,” he says. How do you cycle count your inventory? As Jordan says, you could consider turnover and sales volume when deciding how frequently a SKU should be counted. You’ll want to group your products based on their sales volume and come up with a cycle count schedule for each group. So, Group A would be your top 20% best products, Group B would be the next 60%, and Group C would be the bottom 20%. Items on Group A should be counted more often, while those in Group C would be counted less frequently. Alternatively, you could decide to count items based on whether or not they’re in season. So if it’s summertime, then you’ll want to count your summer dresses more frequently than your sweaters. If seasonality or the ABC technique isn’t right for you, then you can arbitrarily decide how to count merchandise. Just be systematic about it. For example, you could decide to cycle count according to the item’s size, location in the store or product type. The bottom line: do what works best for you. How often should you count your inventory? Regardless of whether you choose to do full or cycle counts, frequency and consistency are key. According to Lewis, you should ensure “that everything is counted at least once a month.” At the very least, he says retailers should aim to cycle through all their products every quarter. Forecasting demand is an important component of inventory management. It lets you be more forward-thinking with your stock, so you can carry more of the right products at the right time. But like anything that requires anticipations or predictions, it’s a tricky task. That said, if you have the right data and insights, you’ll be able to forecast demand with a fair level of accuracy. How do you forecast demand? Retailers can forecast demand by combining historical data, customer sentiment, current trends, seasons, and maybe a little bit of intuition. There are several ways to approach demand forecasting. There are qualitative methods, which include conducting market research and surveying customers, experts, and key people in the company. There are also quantitative methods, which include causal models (i.e., projecting outcomes based on a set of variables) and time-series models (i.e., attempting to predict the future based on past data). Some retailers use a combination of both to forecast demand, while others use applications that can run for the numbers for them. If you’re an SMB looking to predict demand, the first place to look is in your retail analytics. Dig into your sales and product reports to figure out what’s selling and how fast products are moving. This will give you a better idea of what items to orders, the quantities you need, and the dates that you need them by. Christmas Elves, a retailer that sells holiday merchandise, does this really well. According to store owner Jason McIntyre, he and his team look closely at their sales velocity to figure out their orders. “I have to place my Christmas orders in January or February each year, so we pretty much get one shot at purchasing. If I under-purchase and sell out, then I lose sales opportunities. But if I buy too many or the wrong types of products then I’ll have to look into discounts and promotions,” he says. To do that, he looks at how many trees sold per week and then tracks their sales trends overtime. Jason says he runs these sales velocity reports both at a category and product level. Doing so allows him to identify trends and opportunities, which then influences his product orders. Inventory management comes with a lot of challenges. As a retailer, you need to be aware of any potential mishaps so you can prepare for them. In this section, we’ll look at some of the common issues retailers face when dealing with inventory management. Remerchandising the products by moving them around the store or freshening up their displays. Discounting them through enticing promotions. Bundling them with faster-moving products. Offering them as promotional freebies. Seeing if you can return or exchange them. Selling them on online marketplaces. Selling them to liquidation companies. Donating them and reaping the tax benefits. Running out of in-demand products and dealing with out of stocks may be the opposite of having surplus inventory, but it’s just as bad. Out of stocks can diminish customer satisfaction and send them to your competitors. Have an inventory management system with stock level alerts, accurate reporting, and effective product ordering features. If necessary, tweak your stock ordering process and schedule so orders arrive promptly. Cultivate strong relationships with your suppliers and communicate with them often. Always have enough working capital so you’ll never be short of funds when it’s time to order products. As we mentioned earlier, shrinkage is the difference between the amount of stock that you have on paper and the actual stock you have available. In other words, it’s a reduction in inventory that isn’t caused by legit sales. The common causes of shrinkage include employee theft, shoplifting, administrative errors, and supplier fraud. If you sell products on multiple locations or channels (i.e. physical retail + ecommerce), you may find that inventory levels don’t match up. You have two options for dealing with this issue. The first is to use a single view inventory management system in which you manage all your sales channels on one platform. That way, when you sell something in-store or online, your stock levels across the entire system are all synced up. The second option is to use platforms that can integrate with each other. So, if you’re using a point of sale system in-store, you need to make sure that it can “talk” to your ecommerce platform. By connecting the two solutions, data can flow from one app to the other and your stock levels remain synced. Whew! We just went through the A to Z of retail inventory management. We certainly hope you found what you were looking for! We’ll be adding more info and resources going forward, so if you want to keep learning about stock control, be sure to bookmark this page. By the way, if you know of any inventory management resources that weren’t mentioned in this post, be sure to let us know! Share the knowledge by reaching out to francesca@vendhq.com!